We are having a “banner” year at Avalon Beach Church in 2018! 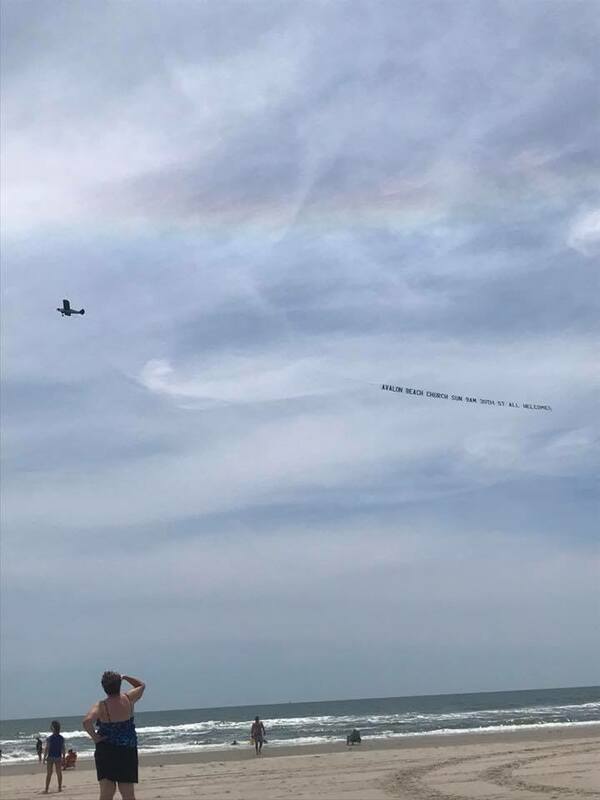 Through two very generous donations, we have advertised our services on a banner flown over the beaches of Stone Harbor, Avalon and Sea Isle City for the last five weekends. But much more than that, we are seeing lives changed through worship, prayer and preaching Grace & Truth from God’s Word! I’ve included in this post a letter that Tania and I sent out this past week to all those who support our ministry. 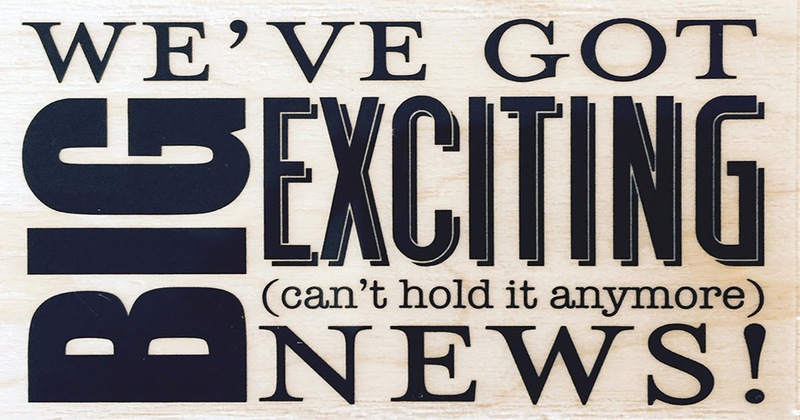 We have some really exciting news to share and we wanted all those who follow this blog to know as well. I have been preaching this summer from the Gospel of John with this theme: “Grace and Truth.” In the first chapter of this great gospel, John declares that Jesus came “full of grace and truth.” He didn’t come with massive grace and a little truth, and He didn’t come with mega-truth and just a dab of grace. He was FULL of both. The Church needs to model this aspect of Jesus. If we are too heavy on truth without being full grace as well, we may tend towards legalism. If we focus all our energy on grace without an equal emphasis on truth, we give license. Truth without grace condemns…grace without truth condones. Tania and I are asking the Lord to help us experience the fullness of Christ’s grace and truth this summer. Each of our Avalon Beach Church messages can be watched at http://www.avalonbeachchurch.com. We hope you engage in truth and experience grace! Avalon Beach Church is better than ever! We have the largest crowds we have seen and people are responding for prayer every week. Just this week, I received a request for two young ladies to make a commitment to Jesus and then be baptized in the ocean following an upcoming service. Praise the Lord! THIS IS A BIG ONE…Tania and I have accepted an invitation to join the staff of Wesley Church in Quarryville, PA. Blake Deibler is the lead pastor at Wesley. He is on the Malachi Network board and has been a close friend for almost 25 years. He has invited me to bring the Malachi Network with me and work bi-vocationally as a leader on his staff. I will over see the staff and volunteer ministry leaders at Wesley; be involved in their regional expansion through re-purposing dying churches in Lancaster County; and preach once a month. When Blake asked me to consider this position, I was blown away by this part. Blake said: “At Wesley, we are Kingdom minded, so we certainly wouldn’t want you to stop doing Avalon Beach Church!” So all summer long, we will come back to South Jersey over the weekend to lead ABC! I can’t believe I get to lead in such a vital church family and still get to preach on the beach each summer! God is so Good! I have been working bi-vocationally for the last several years to subsidize our support through writing. 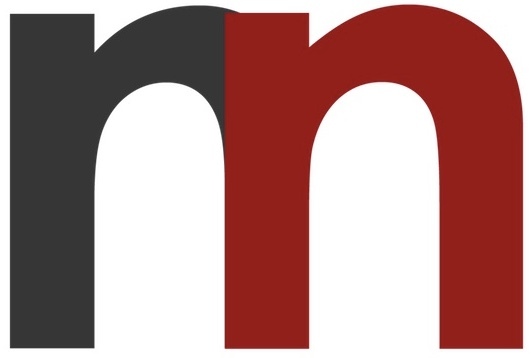 I am so glad that I will now get to focus on our network and church ministry. We will continue to raise support for our work investing in young leaders in mission and church planting. We hope to be able to allocate more funds toward our board being face to face with our leaders and meeting the urgent needs of our pastors and missionaries. Thank you so much for your faithfulness in prayer and giving. Would you pray with us as we make this transition? We start on September 3rd at Wesley and will be moving there the last week in August.